Whether you’ve just been ‘granted’ energy procurement as part of your role, or it’s been one of many ‘hats’ you’ve been wearing for years – when you’re juggling several responsibilities, it’s tough to keep track of all the details to be sure you’re staying on top of changes. In the energy industry, things are shifting. There are fundamental changes taking place right now that will have significant impacts on future energy costs. This can already be seen through rising transmission, distribution and capacity charges. For more information, read our blog about energy procurement mega-trends. 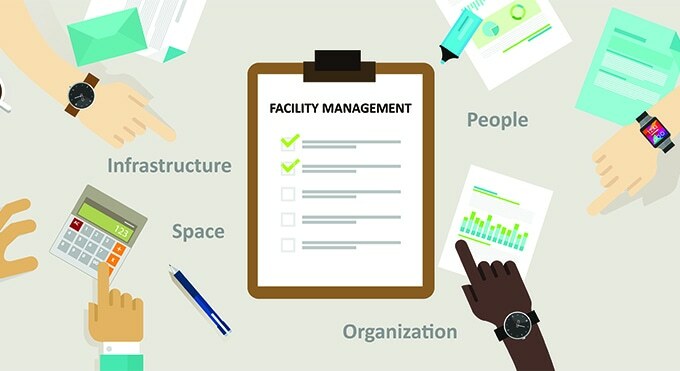 As a facilities manager of a large manufacturing company, college or university, or commercial property portfolio, you are likely pulled in many different directions on a daily basis. Below are a few tips to help you work smarter when it comes to energy procurement. Longer term pricing is impacted by supply forecasts based on retirements and development of new power plants, natural gas production and pipeline delivery capacity. It’s vital to continuously monitor the market and the fundamentals to make good buying decisions. The majority of businesses on utility service (often called ‘standard’ or ‘default’ service) are small commercial users since the standard price offer is not customized to the organization’s specific commodity requirements. Larger energy users typically see price benefits when getting supply outside of the utility. In addition, because the utility contracts for supply on a set schedule, standard service rates will fluctuate with energy market prices. Unless you choose an alternate energy supplier, you will receive your energy supply from the local utility. Typically, energy pricing provided by a supplier will be better than the standard service rate from the local utility. Without substantial vetting of supply offers, however, you will not be able to guarantee you are receiving the best market rate or contract terms. It is highly recommended that you conduct a full review of the supplier and its competitors before final selection. It is important to recognize that the best supply offer is not always the lowest price offer. Not all supplier contracts are the same, and suppliers may make modifications to their contracts periodically. Key contract terms to review include: payment terms, “swing” allotment (how much energy you can use within the range of your agreed-upon consumption), Change in Law clauses, and early termination fees. To ensure best pricing and terms, you can contract with an energy advisor or broker. At the very least, an energy broker should offer you the ability to solicit multiple suppliers through an objective bidding process. A quality energy advisor or broker will have conducted thousands of bids on behalf of clients and will be able to guide you through the complexity of analyzing and contracting for energy. When it comes to effective facility energy cost management, you should look at both sides of the coin – how you purchase energy and how your buildings use energy. Demand reduction efforts such as energy efficiency projects, on-site generation, demand response programs and peak load management are all initiatives that should be carefully considered to reduce costs. One word of caution; if you are going to execute on a demand reduction initiative, be sure that your electric supply contract terms are adjusted in a way that allows you to maximize your savings benefit. For example, if you are going to reduce your load on peak days to lower your CapTag, make sure your supply contract is written to pass through capacity charges. Knowledge really is power. Energy usage data, as well as utility and supply bill data, can provide significant insights into how your facility uses energy, and how your organization is being charged. These insights can help you make more informed budgeting decisions and identify areas for cost improvement. That said, you may have data coming at you from all angles; building intelligence systems, utility/supply bills, your own internal colleagues in Finance, Sustainability and Procurement. Joining all of the data together into a usable format that can help assist in decision-making can be a challenge, but can reap countless benefits. Find a reporting tool that offers an array of analytic capabilities, allowing you to track your budget, identify areas of inefficiency and implement targeted energy-saving initiatives. There are only so many hours in a day and projects you can handle. With the energy industry only increasing in complexity, engaging external resources can result in significant savings for your organization, and help you maintain your sanity. An energy advisor (like Usource) has capabilities and resources to help you develop your energy buying strategy, provide ongoing consultation on energy markets throughout your supply contract, and advise you on other services such as peak load management, energy efficiency, renewables, and data management. An energy advisor will also monitor the market and alert you of any price fluctuations, regulatory actions or infrastructure updates – positive or negative – that could affect your energy strategy. Lisa Cochran brings extensive energy procurement, utility account management and consultative experience to Usource. As a Client Development Manager at Usource, Lisa works with mid to large-size companies to develop energy procurement and management strategies that meet their financial goals and environmental objectives.